Tim Greenwood & Associates is a team of experienced chartered surveyors that has built a reputation for providing thorough and detailed building surveys for clients across Surrey, London and the South East. 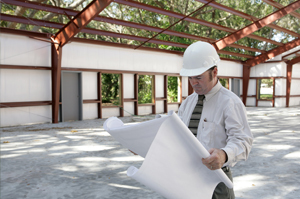 With a combined 45 years of experience in the industry, our building surveyors can deal with all types of property. Surveys are absolutely vital before you purchase or acquire any sort of building. Whether you buy on a freehold or leasehold basis you become responsible for the maintenance and upkeep of property so it is essential that you understand the current condition and state of repair of a building before you buy. Having a survey ensures that you are prepared and can plan for any short- or long-term works that may need to be carried out. 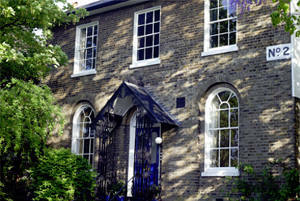 Our surveys can also give you a good idea as to whether this building is a stable investment for you. We can undertake surveys on virtually any kind of property, whether you are buying a small new commercial premises or purchasing industrial space. Our surveys can provide you with detailed advice on the condition of the property including everything the details of known issues as well as potential future faults that may be a risk at a later date. For a comprehensive breakdown we can also arrange for the inspection and testing of any electrical or mechanical services. We are additionally able, if necessary, to provide indicative costs for any works that would need to take place. Using surveyors before you acquire a property is essential. Our survey findings allow purchasers to properly understand the financial implications of the condition of the building they are buying. They can also give you the negotiating power to reduce the price. We have worked with clients all across London, Surrey and Sussex we are happy to travel further afield depending on the requirements of specific work, so don’t hesitate to contact us for any surveys you need to have completed. We want to give you complete peace of mind over the property you are buying, so our reports are structured to make it easy to access any information you need. We are a team of chartered surveyors with experience in all aspects of building surveying – we strive to offer every client our extensive experience and professional guidance at a competitive price. Dealing with everything from industrial and commercial surveys across Surrey, London Sussex and the South East, we have the expertise to deal with anything you need. To speak to us for more information or to arrange a building survey, you can contact us today by calling 01737 829070 or filling in the contact form and we will get back to you as soon as possible.